I know that I just sent you our prayer letter yesterday, but I didn’t send the list of the different projects. Here is a breakdown of what we are wanting to accomplish in the next 6 months or so. All the costs are estimates. Praise the Lord, the first $350 of the $150,000 needed has come in. 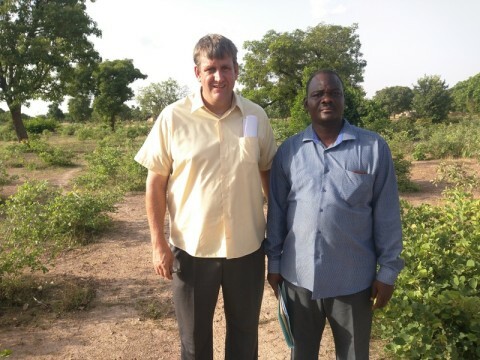 New Church plant – We bought 2 and half acres in a village named Nabitenga. It is about 25 min from where we currently live. It is our goal to plant a church there and also to start a camp. We will buy more land in the future (hopefully 10 acres) and start building the camp, but the current need is for the church plant. We need to build a house for Pastor René, (He will be leading the new work.) and a room to start the church in. Everything is ready to go as soon as the finances are there. Cost = $10,000 Below is a picture of Pastor Justin and I after we bought the land. Finish building in Zagtouli – God has blessed this church plant. We have been having services under a grass hanger for the last few months, and children’s church is on mats under a tree. Rain has often messed up our church services and kids clubs. We are in the process of building a three room building. The first room is partly finished. The urgent need is to finish it out. This will be our church building for the time being. The cost to finish it is $4,000. Below is a picture of of our church services in the grass hanger and of the unfinished building. Needs we want to finish before the end of the year or first part of next year. 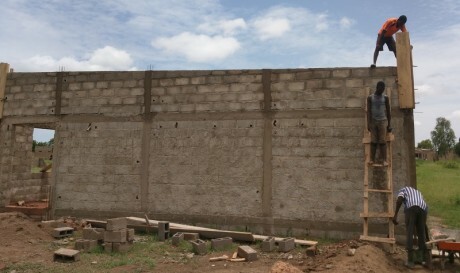 Church building – Pastor Mamadou has been at Sanoré since 2009. They have been meeting in a class room since 2009. The church has grown each year and is in desperate need of a nice church building. Cost — $15,000 for the building and $5,000 for a parsonage for the pastor. Land needs (near Zagtouli) – It is our desire to purchase multiple pieces of land near our work in Zagtouli. Each day Ouagadougou grows, and so does the price of land. 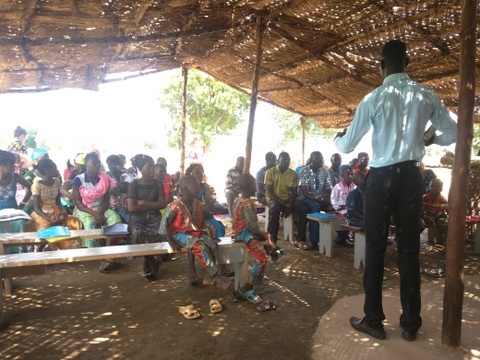 We would love to have a network of churches in close proximity of us in order to train men more effectively before we send them off to other areas of Burkina Faso. $14,000 is needed. To the right and left are pictures of the members working hard gathering sand and rock for construction.